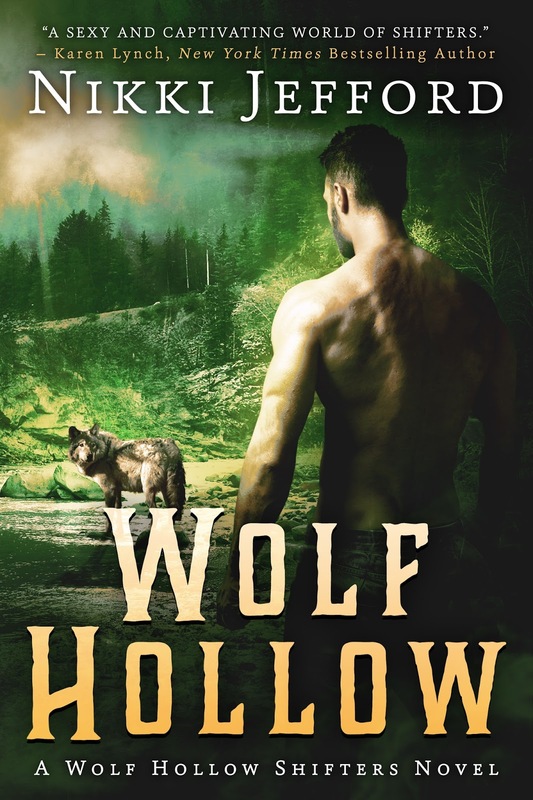 After escaping his human captors, Wolfrik returns to Wolf Hollow covered in scars and hostility. He wants nothing to do with pack politics and refuses to play nice. Ever since Kallie’s foot was permanently maimed in a vulhena attack, she’s been relocated to the den where Palmer—the pack’s elder and council member—is after her to become his third mate. A heated encounter with Wolfrik gives Kallie an idea. 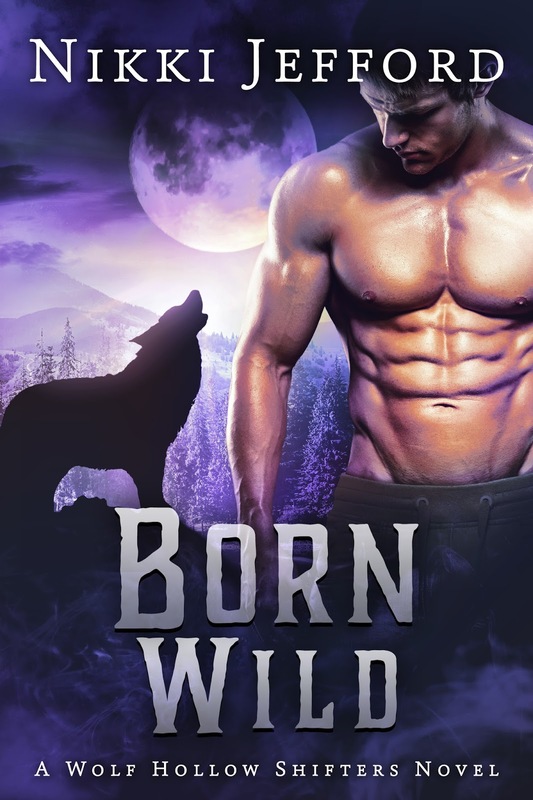 If she can convince the wild wolf to be her bedmate, Palmer will finally leave her alone. But when an unexpected bond forms between the pair, Kallie may have bitten off more than she can chew. Is the aggressive pureblood too damaged to settle down with a mate? In the glade, a short line formed at the cauldron and shifters began dishing themselves the usual mush of vegetables, grains, and meat. As more pack members arrived, they headed for the line and milled around in small groups chatting amongst themselves. Wolfrik didn’t care much for conversation, but he did like listening in and making comments—especially the kind that got under other shifters’ skin. There weren’t a whole lot of other ways to entertain himself. But tonight he wasn’t listening in so much as looking for a certain she-wolf who owed him a shirt. If she knew what was good for her, she’d stick to the safety of the den and never go wandering off alone in the middle of the night again. What had she really been doing? Wolfrik didn’t buy her story about stretching her legs and taking in the fresh air. She looked like she was running away. What in the world did she have to run from? It wasn’t his problem, but he couldn’t help feeling intrigued. Perhaps the hollow wasn’t one big happy family that had moved on without him. Why not dig a little deeper? Misery loved company, after all— a saying he’d picked up at the compound. Perhaps it explained why hundreds of humans swarmed to the crumbling city as though it were the mother hive. Wolfrik chose a spot on a mound of earth beneath some trees, watching each shifter as they arrived. He tapped his foot the longer he waited. Soon a full line had formed at the cauldron and the clearing filled with the clamor of a couple dozen voices speaking at once. So, Kallie had stayed away. Heavy disappointment sank like a rock down Wolfrik’s throat then settled inside his gut. It’s not as though females had ever flocked to him even before he’d become a savage beast. His impending claim on Sasha had been as clear as the waters that ran throughout the hollow, not to mention he’d always held himself above the rest of the pack. In short, he’d been a pompous prick. Now he didn’t know how to be anything else. “And I will be yours,” Wolfrik had promised, teeth gleaming. A man with a whip had come by his cell that night and given him ten lashings, but it had been worth it to see the twitch in Hawk’s eye. Standing shirtless, those lashings were displayed for the whole pack to see. It didn’t matter that no one was looking at him. They were thinking about it and avoiding him even more than they had before. Wolfrik folded his arms across his chest. Did Kallie think she could hide from him forever? Hold onto his shirt like some kind of keepsake? He ground his teeth together and descended the mound with half a mind to storm into the den and demand his shirt back—rip it from Kallie’s body if she was foolish enough to still be wearing it. He couldn’t change what he was any more than a rabbit could grow claws. A flash of yellow caught his eyes from across the clearing, like the sun had sprouted legs and taken a walk through the woods, coming closer as though drawn in by the heady scent of wild game and fresh harvest. She had full breasts and hips that clung to the smooth fabric. Thick waves of brown hair tumbled past her shoulders, following the dips and curves of her body. Wolfrik remembered everything he’d seen beneath the dress in vivid detail. Her shapely legs moved with slow grace. He barely noticed her limp. Strands of copper and gold caught in the firelight as she passed the bonfire. In her hands, she held Wolfrik’s shirt folded into a tidy square, and her eyes were in constant motion—as though searching for something…him? Wolfrik’s groin tightened. She was only returning his shirt. Why then did he feel like she was about to offer him a gift? He stood his ground. Let her look a bit longer. Try to find him hidden among the trees. He liked watching her search him out. Clutching his shirt, her lower lip gave a slight tremble. Wolfrik’s heart rate kicked up the way it did before he pounced on a rabbit. He began to smirk, sure her gaze would land on him at any second when from out of nowhere, Tabor stepped in front of Kallie, blocking Wolfrik’s view. He growled, but there was no one close enough to hear. Nikki Jefford is a third generation Alaskan now living in the Pacific Northwest with her French husband and their Westie, Cosmo. She is the author of the Wolf Hollow Shifters series, Aurora Sky: Vampire Hunter series, and Spellbound Trilogy. When she’s not reading or writing, she enjoys nature, hiking, and motorcycle riding.